John Sauvarin memorial rides – Leongatha Cycling Club Inc.
“Over 50 people attended the John Sauvarin Ride on Sunday at Koonwarra Reserve collecting more than $500 for The Heart Foundation. A lovely warm day encouraged participants to ride 35km on the Pound Creek Circuit or to ride & walk the Rail Trail to Meeniyan and back. Some of the juniors were having their 1st ride without trainer wheels and The Rail Trail provided a terrific safe venue for this while others enjoyed a coffee at the Meeniyan turnaround. “The 12th annual John Sauvarin Memorial Ride was held at the Koonwarra Recreation Reserve on Sunday, an event organised by Tony Smith from the Leongatha Cycling Club. “Not the ideal weather for the annual John Sauvarin ride, however a small group braved the tough conditions on Sunday. The tenth annual John Sauvarin memorial social ride was held at the Koonwarra reserve on Sunday morning in windy, but fine conditions. It was attended by around 45 of family, friends and Leongatha Cycling Club members. This year riders could choose between a 36Km Pound Creek road course or walk /ride along the Great Southern Rail trail over the newly opened bridges to Meeniyan and back before a BBQ and social get-together. 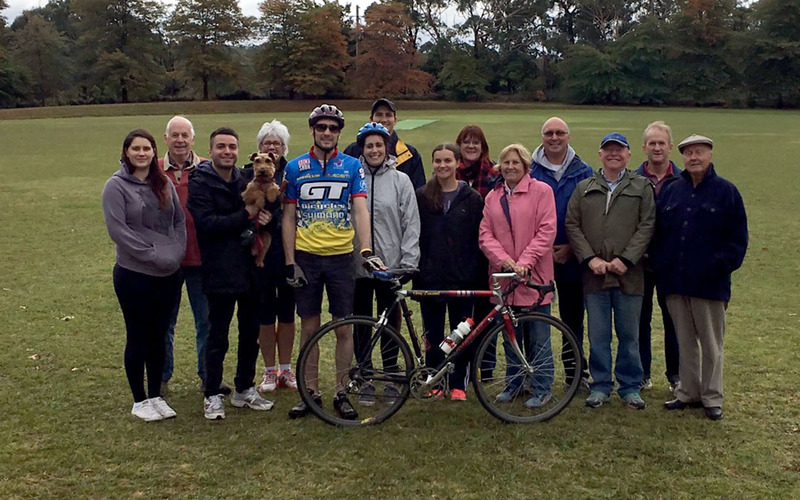 John was a highly regarded Leongatha Cycling Club life member and each year a social ride is held in his honour, while also raising money for the Heart Foundation.